In today’s highly competitive business arena having a Mentor to guide you to success is crucial. 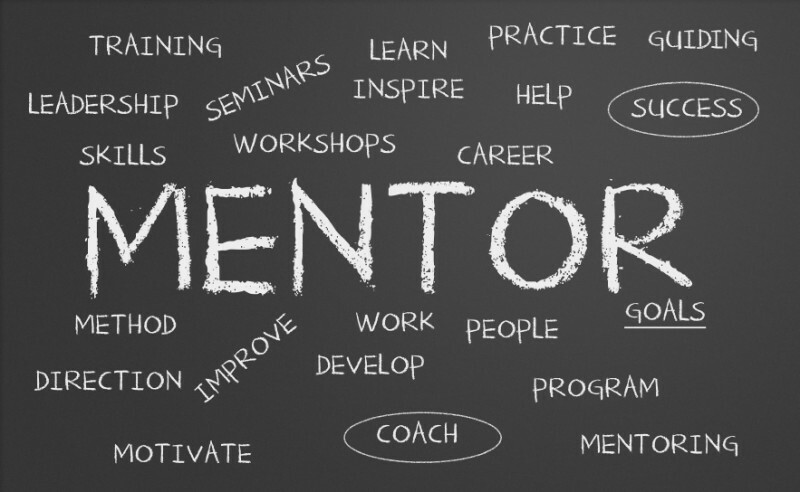 The Oxford English Dictionary defines a Mentor as “An experienced and trusted adviser”. To be successful mentoring must be a two-way street. Whilst it is very much a self directed learning and a flexible arrangement, where the mentee is responsible for driving the agenda and setting the topics of conversation, it is essential that both parties give 110% to the relationship. As an entrepreneur, it’s exciting to go it alone and create something on your own. However, the reality is that, while you have a great idea or even business, you may not know exactly what you should be doing with your business at which times to develop it into a million dollar or even multi-million dollar business. Becoming a business success is an incredibly complex process, and the core competency you need to manifest in the business world may be the least of your worries. A mentor who has been down the road you want to travel can help you find the right path. A mentor is someone who allows you to see the hope inside yourself. They are there no matter what and offer moral support and their high-level contacts. For example, in 2004 I had the privilege of being mentored by Jay Abraham (marketing genius and highest paid marketing consultant in the world) this was THE turning point of my business life which eventually led me to become the World’s Top Joint Venture Expert. Then in 2010 I was invited to the US to speak on the topic of joint ventures and met my next 3 mentors who were all multi-millionaires which eventually led me to become one myself. If you want to become successful in business, in an industry or even become a Billionaire who better to learn from than a mentor! After selling my business recently for 8 Figures (assisted by another well-known mentor T.Harv Eker) I now personally do quite a bit of work in the high-level mentoring field – I am a business mentor and I still have a few mentors of which one is a real Billionaire. If you are someone who values accelerated personal and business growth and is prepared to invest time and effort in yourself, then please contact me for a Free strategy session. This is perfect timing. I am looking for a mentor right now and actually registered with micromentor.org yesterday. I am very interested in speaking with you. My plan and focus is making seven figures in the Blockchain industry. Please contact me via e-mail or phone. thank you. Hi Matthew, thank you for reaching out. I will be in touch about my Mentoring Program. Sohail my friend and mentor you are right on point with your comment about having a Mentor to guide you to success is crucial. I would like to add having the right Mentor to guide you to success is crucial as you illustrated with your examples of Jay Abraham and T.Harv Eker. Unfortunately, I have paid thousands and thousands of dollars with so called mentors which netted me zero (0) return on my investment (ROI). But then while having dinner in Dubai with some friends and OMG they kept going on and on about this guy named Sohail Khan. I decided to check this Sohail Khan goy out for myself and I did so I contacted Sohail to have a chat. I was so impressed with Sohail that I invested in his JV Brokering Boot camp, jumped on an Emirates flight from Dubai to Las Vegas to learn from the World’s Top Joint Venture Expert. Sohail Khan you are one of THE turning points of my business life and I am excited about learning a lot more from you, building profitable businesses and relationships while each of us live our legacies and make the world a better place. I am interested in a mentor. Hi Betts, let’s have a chat about Mentoring.